The Roshchild Prizes Foundation announced on Tuesday the names of four scientists - from the Hebrew University, Weizmann Institute of Science, University of Haifa and Tel Aviv University. The ceremony will be attended by Lord Rothschild on March 12 in the Israel Museum. The prizes, established in 1959, are awarded in physics, mathematics, chemstry, life sciences, agriculture, engineering, humanities, Jewish studies and social sciences - and each year, four or five of these are chosen. This year, the winners are in the fields of engineering, social sciences, life sciences and mathematics. and soil contamination processes, through the introduction of stochastic modeling of groundwater flow and contaminant transport in porous media. Dagan is one of the founders of the new discipline of stochastic subsurface hydrology, whose models serve to analyze and predict processes of soil and groundwater pollution that endanger the quality of drinking water in many parts of the world. Prof. Asher Koriat of the University of Haifa, one of the most prominent in the field of cognitive psychology. His research, especially on metacognition, and on the "feeling of knowing" are cornerstones in the field. He has also made significant contributions to the study of memory. Prof. Ada Yonath of the Weizmann Institute single-handedly pioneered the x-ray crystallography study of the ribosome, the highly complex assembly functioning as the protein synthesis machinery of the living cell. She undertook this challenge when others couldn't even conceive of the possibility. The painstaking process required her development of innovative methods that greatly impacted the entire field and culminated in determining the high-resolution structure of the functionally active conformations of the ribosome, advancing understanding of protein synthesis. 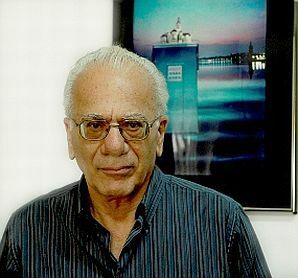 Prof. Benjamin Weiss of the Hebrew University is one of the outstanding mathematicians in Israel, having made fundamental contributions to a wide arena of mathematical areas, most notably to Ergodic Theory, in which he is a leading world specialist. He has contributed much to the general theory of dynamical systems of which Ergodic Theory is a branch, and his work helped reveal the surprising connection of Ergodic Theory to combinatorics.